Christophe Isaac Castiau, the new CEO of Automatic Systems, is eager to ensure the company’s continued prosperity and to stimulate its growth. Faced with the challenges of a fast-expanding market, he says is confident and is busy preparing the company’s 2022 strategy with a view to positioning this Belgian flagship company as a leading international group. 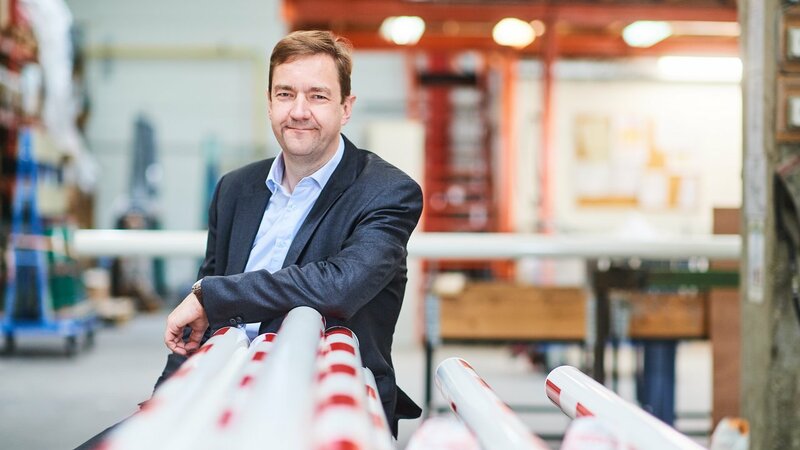 When he was asked to take over as CEO of Automatic Systems, he was quickly impressed by this top Belgian company, an international leader in an industrial sector that is growing significantly: automation of secure entrance control. “Automatic Systems is an innovative company. Compared with its competitors, it is notably present on three markets at the same time: pedestrian, vehicle and passenger access. Moreover, I’m proud to work for a Belgian company, one that has always built its reputation on the quality of its products and which offers key solutions for people’s lives: we’re talking here about their security and everyday lives,” he says. As CEO, Christophe Isaac Castiau hopes to call on his experience of the mechanical industrial sector plus his international profile, in order to ensure the company’s continued prosperity and to stimulate its growth. Faced with the challenges of a fast-expanding market, he says is confident and is busy preparing the company’s 2022 strategy, through which he aims to position it as a leading international group. Christophe Isaac Castiau has always worked in the mechanical industrial sector. Besides the actual product, he believes that the notion of service and the human side are two other key factors. “When compared with our competitors, we are not only different because of the quality and design of our products. We also stand out thanks to the professionalism of our service,” he adds. Christophe Isaac Castiau graduated as a Management Engineer from the Solvay Brussels School of Economics and Management. After 15 years at Schindler, he joined Kone and served for six years as Managing Director in Istanbul. In his professional career, apart from Turkey, he has lived in France, Spain and the Netherlands. Now in Belgium again, he says he is very happy with the experience he gained abroad and is delighted to be back living and working in Belgium.